U.S. 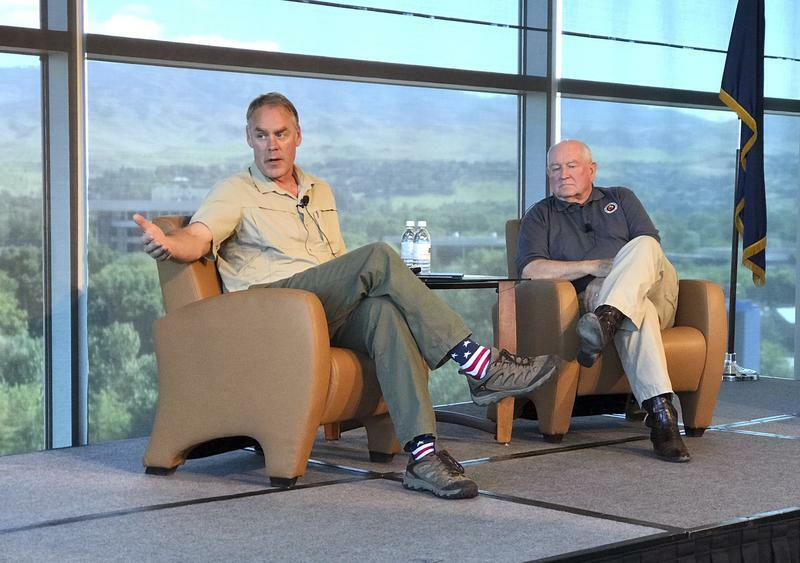 Interior Secretary Ryan Zinke, left, and Agriculture Secretary Sonny Perdue speak in Boise, Idaho, on Friday, June 2, 2017. But several GOP-controlled states, including Idaho, took issue with the strategy. The Gem State argued that Obama officials ignored state input, and subsequently sued the Interior Department. Now, President Trump’s Interior Department is set to reverse much of this plan. According to the New York Times, Interior Secretary Zinke is done with his review of the Obama management plan and will publish notice to amend it. 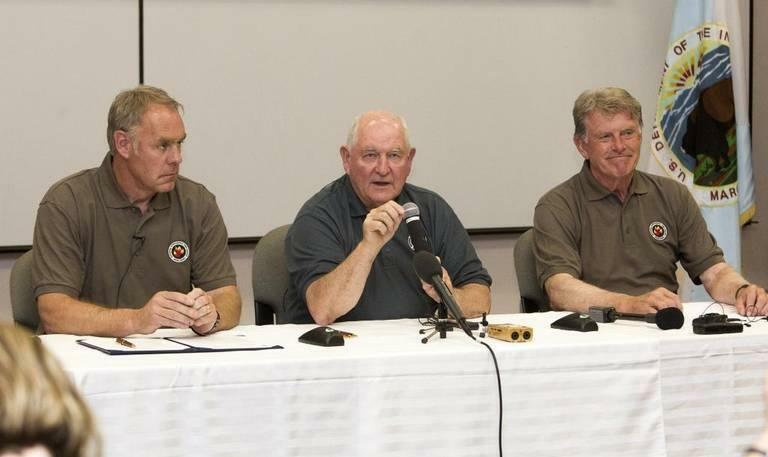 That move has Idaho Governor Butch Otter clapping. But not everyone is cheering. Environmental groups including the Audobon Society and the Center for Biological Diversity say the move will undermine more than a decade of collaborative work. Wednesday, Interior Secretary Ryan Zinke announced a departmental review of how the greater sage grouse is protected. The sage grouse lives in 11 western states, and its habitat spans more than 40 million acres. The bird’s population has declined significantly in recent decades, as natural resource development expanded in some states. In 2015, the Obama administration decided not to put the bird on the Endangered Species List, in exchange for a habitat-wide approach to preserving the animal. 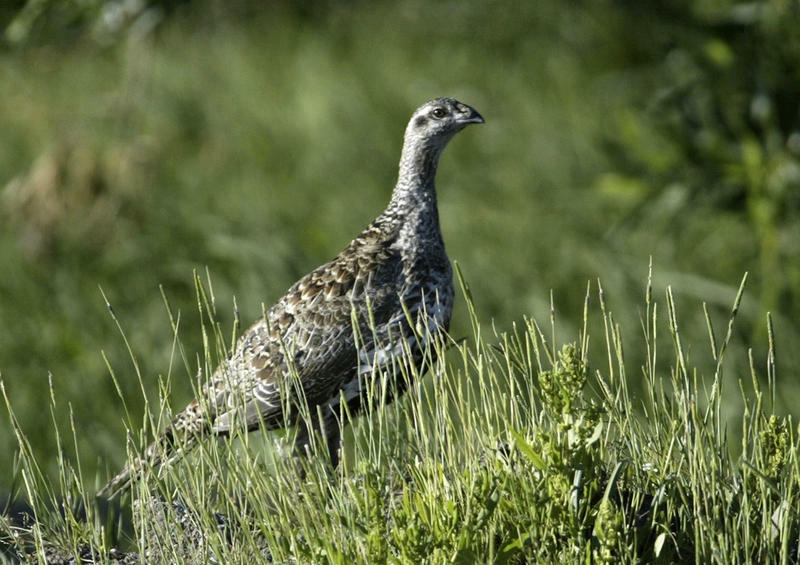 That plan restricts oil, gas and mining development in sage grouse country. Congressional Republicans are moving forward with legislation to roll back the Endangered Species Act, amid complaints that the landmark 44-year-old law hinders drilling, logging and other activities. At simultaneous hearings Wednesday, House and Senate committees considered bills to revise the law and limit lengthy and costly litigation associated with it.